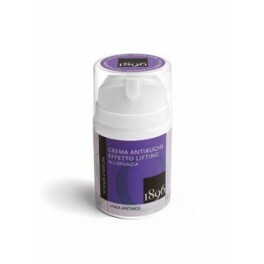 The effectiveness of this cream is the result of the association of plants active ingredients with Argireline. This element guarantees an immediate, lasting, lifting effect to facial skin similar to that of Botox. The combination of Orange blossom water, macerated Opuntia extract and Sea Lettuce helps smoothen facial features, minimizes fine lines and skin fatigue signs. Hyaluronic acid acts as a tension relief agent by stimulating collagen synthesis. This cream energises and strengthens tissues, enhancing the elasticity and firmness of the skin. Apply to cleansed face and neck until complete absorption every morning and / or evening. Excellent make-up base.